I am a bridal gown designed for that special young woman who, from her earliest days of bows and frills, has cherished the dream of enhancing her beauty within a style like mine. I come with matching veil and shoes. My wearer will select her favorite accessories and assemble her choicest bouquet to complete her attire for her most memorable event. Yet, of all the fashion items on display that day, I will be the center of attention. Some will look at me more intensely than they look at the face of the bride, for they will feel obligated to discuss me afterwards with those who never see me. Photographers will snap at me from every angle, and when they display the proofs, the prints will be approved or disapproved according to the way I turn out. Since everyone thinks so highly of me, it is only fair that I relate my story, with the hope that readers male and female will truly appreciate their worth. Just yesterday I was hanging tall with other gowns upon a rack. The push and pull of anxious brides-to-be had been sliding me closer and closer to the edge, but nobody seemed to notice. Finally, one woman barely touched me as she walked by and I fell onto the floor. The sales clerk rushed to my rescue, quickly dusted me, and hung me back in place—but not fast enough to prevent my neighbor gown from noticing. I’d like to think that the store manager heard our conversation. I could hear her hurried strut approaching, but I was too embarrassed to look. Sensing that she stopped immediately before me, I raised my head and saw the kindest eyes set in a human face. Still, it was what she said that appealed to me. The speech she uttered sounded as melodious as the wedding march sounds to the bride on her wedding day. You should have seen my fabric glow. My faith and hope rekindled. Realizing that worth is determined by composition and not circumstance, my confidence increased. Then came the surprise of a lifetime. My neighbor gown insisted on spreading the news that I had fallen. Within minutes, all three of the other gowns on our rack of five had heard my story. 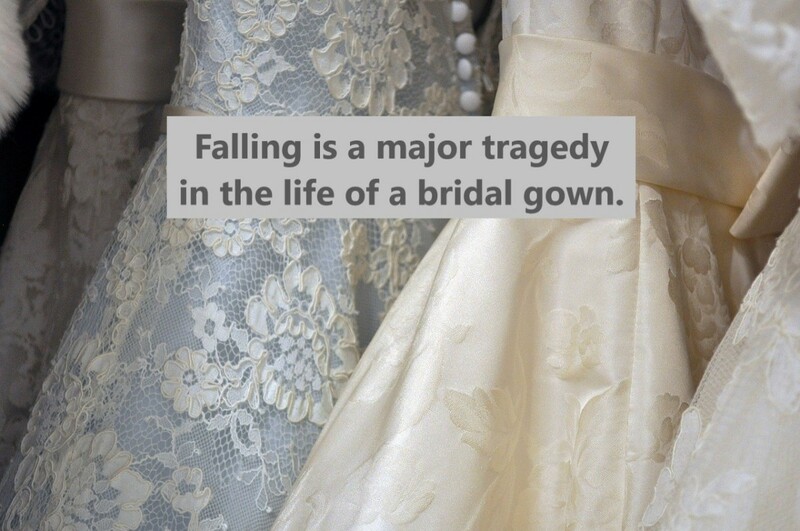 “No bride will ever choose a messed up gown," giggled the V-neck next to her. It was my neighbor’s turn to speak but she said nothing. Instead we heard footsteps, and then the additional sound of the manager’s voice. The manager lifted me from the rack and held me high. I felt promoted. My status had changed from fallen to favorite, and that has been my mindset ever since. So now I want to share my restored sense of worth with the young woman who will select me for her special day. You too may have had a temporary fall (not a rare occurrence for humans), and people stain faster and deeper than gowns do. Yet, the Almighty who rushes to your rescue is the most competent at restoration. The fall may have added to your challenges but it did not mark you down. Instead of hosting a pity party, celebrate with gratitude that Someone helped you up. When the neighbors remind you that they saw you soiled and bruised, remind yourself of what you know for sure, that your worth is still intact. 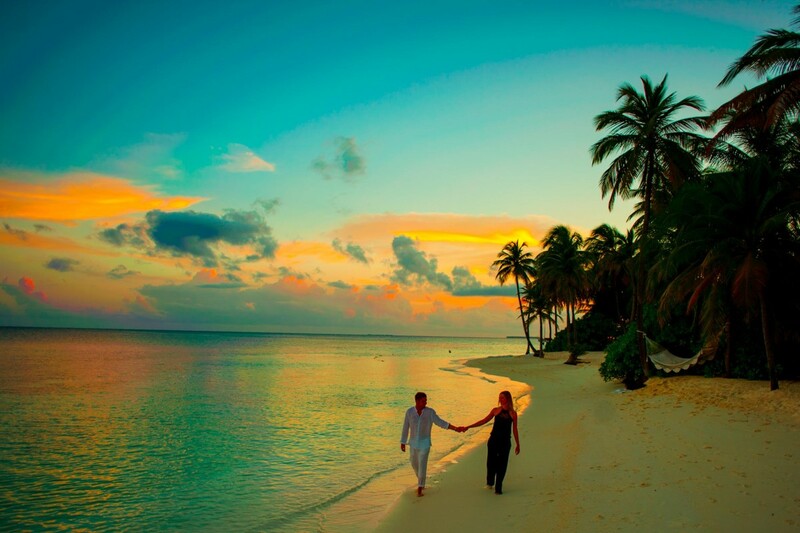 When that special someone comes calling, respond with the assurance that you deserve to love and to be loved. And please wear me with pride on your wedding day. As your guests admire you and me, do outshine me with sweet smiles of confidence, for you have the much greater worth. Thanks, Peg. I value your insight and positive feedback on the topic. Women especially need a boost for their self-worth every now and then. Loved this parable and illustration on our feelings of self-worth. How easy it is to be put down, fallen, and have others hop on our misfortune. 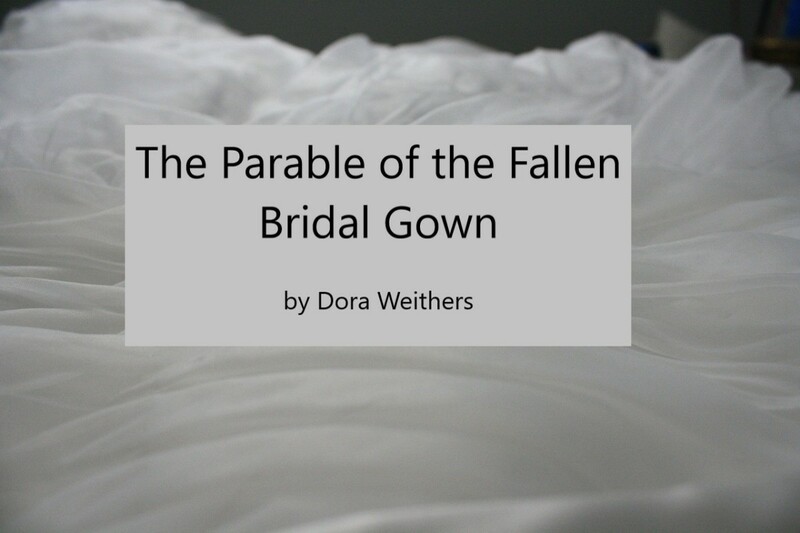 It only took the one who valued the gown to restore its faith. What a great story and well told. Nyesha, welcome to my page. Happy that you like the story and its message. Thanks, Dianna. Your comment is very kind and you summarized the article accurately. This is a nice story & message. Thanks for sharing. You have made quite a true statement in your article: we can be restored from a state of despair. Enjoyed your creative writing! Sad to see that Trolls are allowed to comment on this site, they slip in and slip out undetected. Sorry to see your work targeted Dora, I hope you can delete? I've not used that function, must check it out, and see if it's doable. Okay, I see the 'deny' button on my comments, but no way to test it without losing a comment. Other than that there seems no way to report, because the culprit is long gone, or not a member to begin with? There is a function to screen comments before they are posted, may be time to look into that option. Tim, you conclusion is unique and well stated. Thank you. Alyssa, your comment is encouraging. Thank you. My dear Lady Friend I just came back for my own pleasure. I would declare that is nuff said. "Even at our worse, we are not throw aways" does that apply to all human beings ? or just OURselves ? What a wonderful piece. Even at our worse, we are not throw aways. Loved it. Fabulous as always. Shauna, thanks for your encouraging comment. You summarized the article accurately and beautifully. Dora, this is amazing. What a creative way to remind people of their value and worth. As you so beautifully said, "worth is determined by composition, not circumstance". I hope we all keep this in mind the next time we see someone in unfortunate circumstances. Consider the person. Don't judge the circumstance. Brilliant parable, Dora. I really enjoyed this! Charity, thank you for stopping by. I appreciate your kind comment. I'm sure that you and I can learn from each other. MS Dora,I am still enthralled, this piece is brilliant, i love your approach and style. It's humorous yet carries a lot of wisdom and advice. An amazing beautiful description. Lovely. Thank you so much. Kristina, thanks for zeroing in on the message that everyone deserves to love and be loved. You're the only on so far. I appreciate that. Love must not be overlooked. I thoroughly enjoyed reading your parable! It was beautifully written and i especially enjoyed the description of the gowns and their conversation. The ending is lovely as well, and it's so true...we all deserve to love and be loved! Thanks, Glenis. Hoping that they are happy tears and the rest of the day stays upbeat. Have a great one! A lovely story, beautifully told, Dora. I must be feeling emotional today because it brought tears to my eyes. Thanks, Denise. It is such a noble experience your family is having studying the scriptures together. It would be great to share the parable you create. This is awesome! Our family has been studying the parables of the Savior and we received the challenge to write one of our own. You have done a marvelous job! RTalloni: "Thank you for sharing your parable. It is cleverly written and the moral's quote "...the Almighty ... is the most competent at restoration..." reminds me of a beautiful hymn The Sands of Time." Thanks for reading. I replaced your comment because I understand that links are not welcome in this section. However, I listened and enjoyed the hymn. Thank you for sharing your parable. It is cleverly written and the moral's quote "...the Almighty ... is the most competent at restoration..." reminds me of a beautiful hymn The Sands of Time. Thanks, Bill. I really admire story tellers, and only on a rare occasion I manage to write a story that I like. I started out talking about my Muse, but I think as in this case, that's God. Yes, Dora, I definitely think you should coax your muse./ She'll be good to you is this is any indication Your Carribean stories were great as well. Enjoyed it much and its meaning! Thanks for the offer. a bit hard to explain at the moment. but your the only one whos ever asked that question. appreciate that. 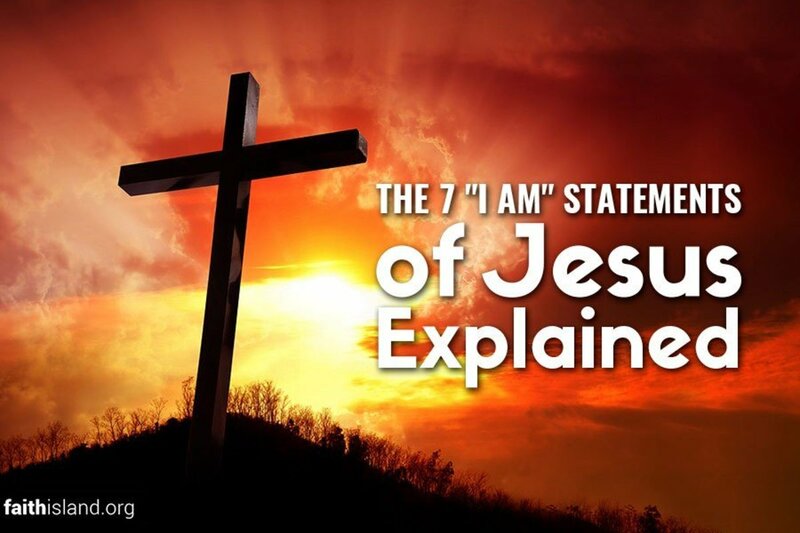 Hi, there, Jesus speaking in a parable is applicable to all persons. He wants each one of us to discern and understands the truth clearly. A parable is primarily for a closed group who are following a master or teacher. Telling a good story in a parable form is a welcomed development. I think Dora has set the pace onHubPages? Thank you, and enjoy your Sunday. This is a creative and interesting story, Dora. It's also inspirational, like so many of your articles. I'm glad I read it. Thats a good one Ms dora. Not sure what prompted you to write this ? Not sure who the bridal gown is on this ? Maybe all of us, but its a very good reminder to myself at least, When people call others [ cowardice, empty gongs, and trolls ] for all to see, the parable to me means, just [ move on ] not all will appreciate what you do, but he that gives, gives to god. All that really matters, [ GOD ] is the one who sees the work we do. Thats why, whatever we do, we do for [ GODS ] glory. It would be nice to know [ GOD ] was the one behind having this parable written ? Hope so. either way. god is the one behind all things. Lincy, thanks for your kind comment. Wish I knew how to do a repeat! Lovely! What an art you have! Hi, Dora, It is good that this story is still trending. Good day. Thanks, Stella. Happy to nourish your childish joy with the moral of a story. Those were the days when story time was a regular exercise. Great story. I've always liked a story with a moral to it, since reading 'Aesop's Fables' as a child. Lori, I couldn't have said it better. Thanks for your kind words and for spelling out the gospel so clearly. Thanks, James. Haven't heard from you in a while. Noticed that I have made comments on several of your articles but you seem to be on a writing hiatus now. Planning to come back? Anyway, thanks for stopping by. I appreciate your observation. Ah Dora, that was lovely, profound, and a creative presentation. The message is an important one. Mercy and grace and a God who loves us no matter what. What he sees when He looks at us is what His Son did for us. Thank you for this inspiration. Beautiful. I like how your story speaks to the core gospel message about a merciful God without using "church speak." It simply displays a topic many of us relate to as it reveals a profound truth. But of course that's what a fable does. Mary, you're so kind. Thanks for your encouragement. Metaphorical language is always attractive. Nicely written. Great teachers always teach in parables and you just did that. Eric, thanks for the vocabulary lesson. The reality of Jesus in joy over my work is what I live for. You sure know how to encourage, and I appreciate it. Rinita, thanks for stopping by. You encourage me with the mention of that line. Anthropomorphism is difficult to do well, you clearly are a master at it. I love to read pieces like this that are so Bible oriented without citing verses. Such an ingrown personal relationship with scripture. I think Jesus is pumping his hand up in the air in joy over this parable. He sure is doing something right in you. Jackie, glad that you finally got it. Thanks for your kind words. Thanks, Bill. Happy that the message came through. So often, I need to remember it. Thanks, L.M. I appreciate your encouragement. Happy that you enjoyed it. The personification of the gowns was astounding, and of course the moral was great. My favorite line was "Realizing that worth is determined by composition and not circumstance, my confidence increased." I was nearly at the end before I got your correlation, Dora! Made me smile. What a great one. You are always such a joy to read. That was very enjoyable, Dora! A lovely and timely message, my friend. Beautiful story. I really enjoyed reading it. Verlie, I truly appreciate your comment. Thanks for mentioning that the message comes through. That's important. Miebakagh, thanks for your very sweet comment, and thank God for the story-telling skill which I hardly know how to use, but He helps. Dora, This is beautifully penned. 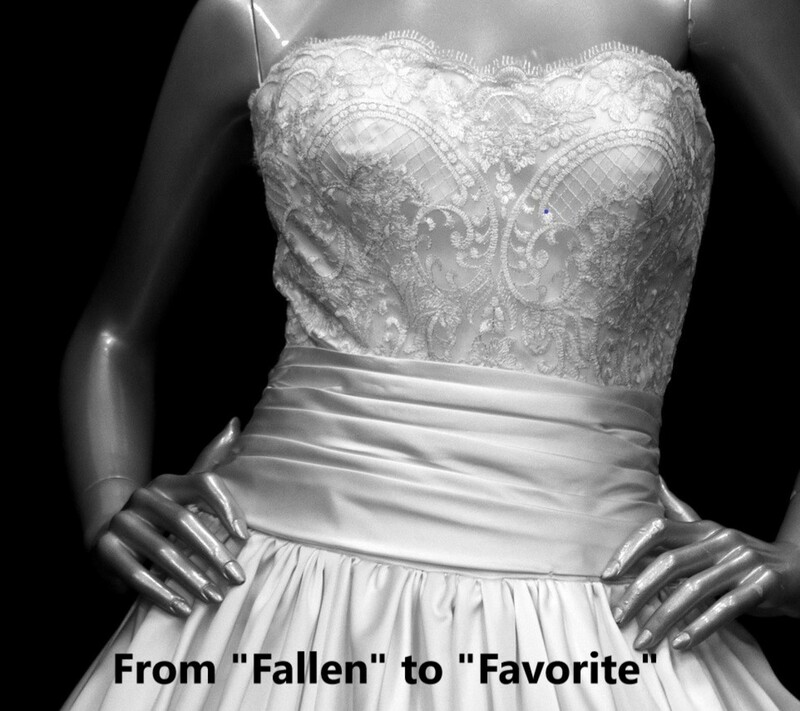 You have a lovely light touch in describing the shapes and textures of these bridal gowns. And the underlying message is so on point. Thanks, Pam. Hoping that my Muse read your request. Would also like to write more stories about Grace. Thanks, Sean. I agree that focus should be on getting up, no matter how many times. That's what it takes. Flourish, thanks for the encouragement. I'd like to write more stories, but my Muse hardly ever goes there. Maybe, I should coax her. Hello, Dora, this story reminds me of the saying "pot calling kettle black." The gown accusing and accessing its fellow gown smacks insensitiveness. The artistic skill with which you churn out this story is unique to you alone. Thank you for sharing, and good day. Ms. Dora, I absolutely loved this story and the lesson we all should learn. I think you have written a very unique parable, and I would love to see more like this one. My hat's off to you my dear Sister! An excellent and amusing parable! You are a glowing Heart! Thank you for this gift. Perfect and beautiful! I love this message. You MUST write more of these types of stories! Please, Dora.